People always ask me where the name for the blog and book came from? Well, as with so many great ideas, it came from a child. My first year teaching kindergarten. Here's the story. The amount of enthusiasm I see on a daily basis constantly amazes me. If you could bottle the enthusiasm in most kindergarteners and sell it, you’d be richer than Oprah and Bill Gates combined. I’m also in awe of the little things that children will get excited over. You’d think that in this age of video games and constant instant gratification, it would take something monumental to get a kid’s attention—something with bells and whistles and flashing lights. But you’d be wrong. Often, all it takes is some paper, glue and, perhaps, if you’re feeling brave, glitter. Even a blank piece of paper and some stubby crayons can bring a child’s imagination to life in a way no $300 video game system can. I walked over to Sage and gently put my hand on his shoulder as I studied his picture. 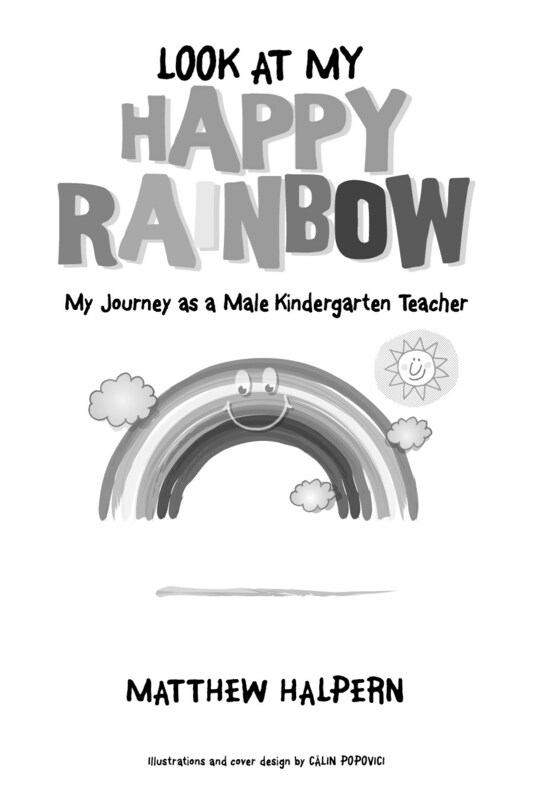 Indeed, his rainbow looked pleased. The absolute innocence on his face as he beamed up at me was transforming. At that moment, I knew my job was truly unique. Not only was I charged with teaching these children to read, write, and understand math, but I was also given an even more important role. In our time together, I had to encourage their love of learning… really their love of life. By fostering the seed of creativity and joy already deep within each of them, I could cultivate the purest and most beautiful sense of the person each of them was destined to become. More than a teacher, I was their guide. Our journey had only just begun, but I was beginning to realize the gravity of my task. The look on his face spoke volumes. He had never seen anything so delightful, and neither had I.